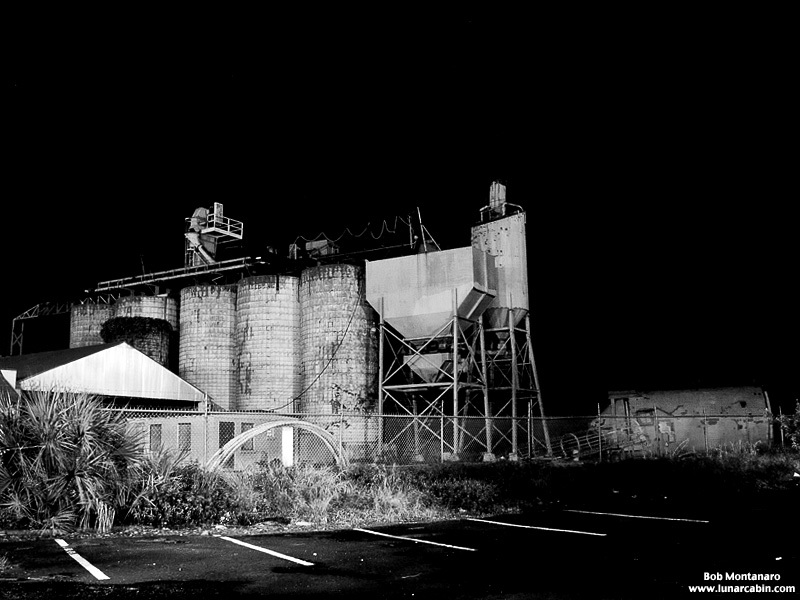 A nighttime view taken from the adjacent parking lot of the old cement plant showing the progress of the ongoing demolition effort. It looks a lot different from the plant’s tidy appearance when it first closed. I helped pour their concrete in Sebastian in 1989.